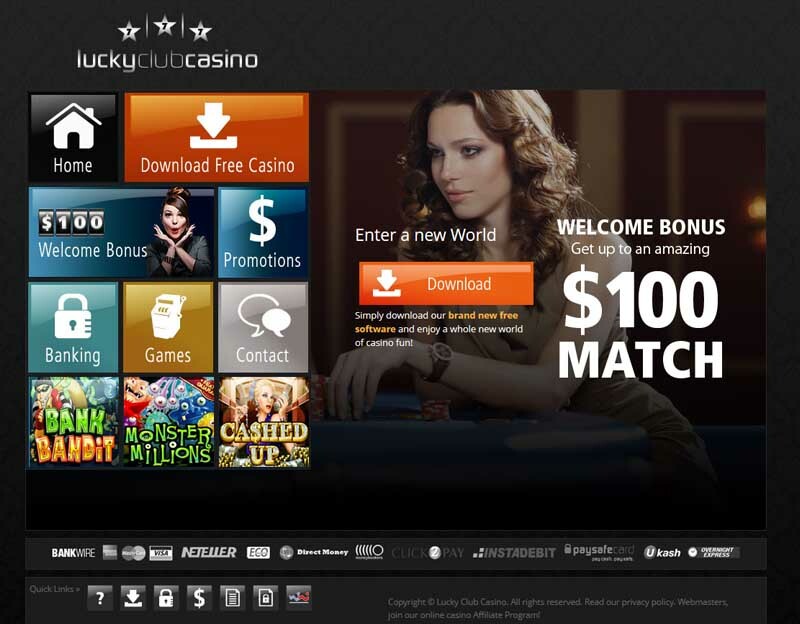 The Lucky Club Casino is a relatively young gambling facility that takes pride in offering only the best gaming products as being presented by the website itself. Plenty of interesting positions were especially chosen to prove valuable to most of the users. Along with an original design of the website, it is easy to find what you are looking for in the first place. 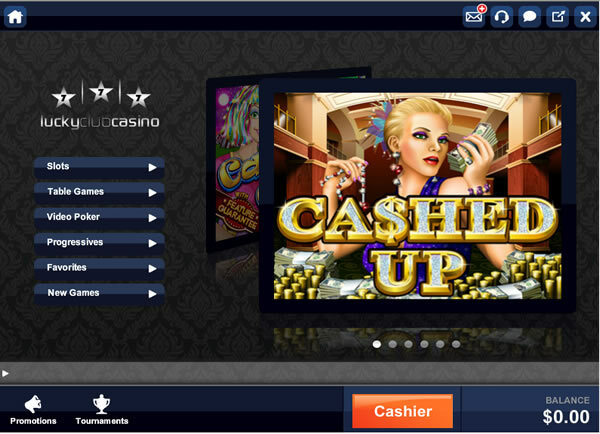 The casino is being powered by the newly discovered Nu Works Gaming, one of the top software developers on the market. With a completely different projecting methods, the games coming from this studio are highly influential to the genre. All information is kept safe under the guard of an advanced security measure that uses the latest technological solutions for creating a safe place for online activities. No data will be shared with third parties as the casino adheres to the most trusted protocols. Every new players that registers a full account may get the welcome bonus which will improve the balance by granting extra chips to the funds. You may want to carefully study all the important regulations as they will prove to become useful in the future when the need arises to withdraw any of the winnings. The whole collection of gaming goods has everything in place, from the latest hits to all time favorites. The 30 different Slot Games offer an opportunity like no other. There are five different jackpots included in the selected games: Mini, Maxi, Minor, Major and Grand Jackpot, which make a great opportunity for the ones who intend to score. 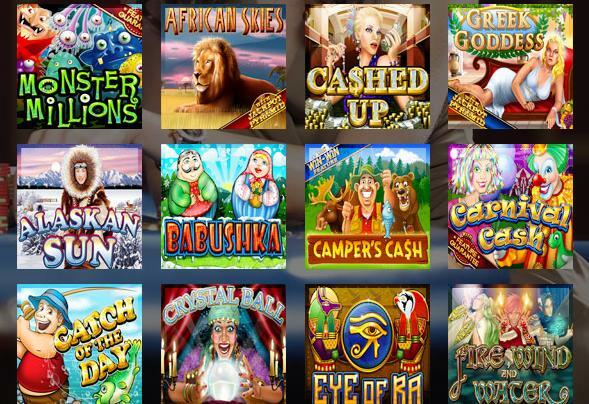 Progressive Slots have some of the more popular titles, like The Duck Ages, Greek Goddess, African Skies. The Free Spins and other special features can be obtained by playing the 5 Reel Slots, such as Babushka, Crystal Ball, Cashed Up, Alaskan Sun, Catch of the Day, Fire, Wind and Water. 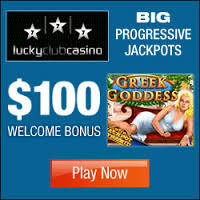 There are even the Guaranteed Slots which provide the more certain way of getting a bonus with Head Hunter or Monster Millions. The Table Games are also available to some extent, with the Tri Card Poker, Let ‘em Ride, Blackjack and Baccarat. Video Poker has the option to play even 100 hands in a single session. Customer service can be contacted by e-mail or phone. The acceptable banking methods are Visa, Paysafecard, ToggleCard, InstaDebit, ecoPayz, Neteller, Wire Transfer, Skrill-Moneybookers, Ukash, Click2Pay. The currencies that may be used are U.S. Dollars. Available languages to choose include English, French, Spanish.